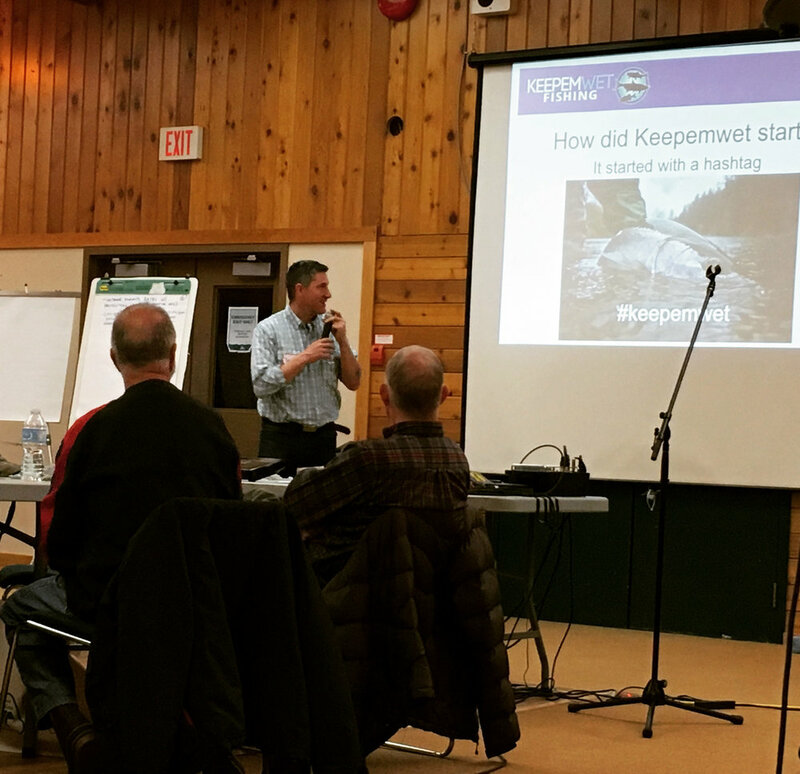 Dennis Zimmermann, a Yukon fisheries advocate and consultant presented to a impressive turnout of anglers and fisheries stakeholders in October. Dennis partnered with Keepemwet Fishing to share a wide range of catch and release science, tips and discussion. The overarching message of Keepemwet catch and release principles and education was warmly received. Unprecedented turn-out - close to 100 anglers to talk about Lake Trout and Salmon recreational fisheries - all demographics. Considerable interest in ethical fishing practices (spin casting, trolling and flyfishing) and catch and release techniques. Dennis Zimmermann has lived, worked and fished in northern Canada for over 20 years. His passion revolves around the intersection between community, fish and habitat. Dennis has worked with numerous First Nations in Canada and Alaska on a variety of international salmon planning and management issues on the Yukon River. He is an award winning professional for his work communicating with, instructing and engaging youth and families in fishing. Currently he works in Whitehorse, Yukon as an independent consultant on a variety of recreational and subsistence freshwater fish and salmon planning efforts that encourage a connection to our natural world. Dennis can be reached through his website: bigfish-littlefish.ca.